Roadway debris has the potential to cause fatal car accidents on our roadway. 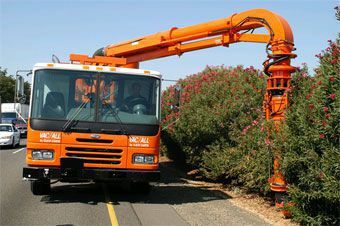 There is Debris Vacuum System available from the Clean Earth Environmental Group that helps prevent accidents involving roadway debris. The machine has features that help with sewer and ditch cleaning of liter. Most litter can be easily collected by the vacuum cleaner. The cleaner can actually access roadway edges to collect litter that tends to blow up and stick under fences and other objects. This machine has helped keep our roadways safer for drivers. It also keeps our environment clean. Davis Law Group, P.S., reminds you to NEVER litter or leave any items on the roadway. Secure loads in your truck as well, to prevent things from spilling out. Help WSDOT keep the roadways debris-free. Serious car accidents caused by unsecured loads and other types of roadway debris happen every day, and the injuries and other consequences that can result from these crashes are life-changing to innocent victims. If you are ever injured in an accident involving roadway debris or a driver's unsecured load, call the award-winning personal injury attorneys at Davis Law Group to learn more about your legal rights and options. We offer a free legal consultation to injury victims and their families. Call our office in Seattle at (206) 727-4000 or use the confidential contact form to get started.